Dato’ Muthanna Abdullah graduated from the University of Buckingham, England, and is a Barrister of the Middle Temple, England. He was admitted and enrolled as an advocate and solicitor of the High Court of Malaya in 1984. Dato’ Muthanna brings with him more than 30 years of experience in law practice, having advised commercial companies, public listed companies and state governments and agencies, in general corporate law, privatizations, joint-ventures, corporate structures, offshore investments, and mergers and acquisitions. He also advises private clients and trustees on how to preserve corporate and family assets and wealth. Dato’ Muthanna is the Honorary Consul of the Republic of San Marino. Dato’ Muthanna sits on the Board of Directors of Sapura Resources Berhad, KPJ Healthcare Berhad, MSIG Insurance (Malaysia) Berhad, Malaysian Rating Corporation Berhad, Malaysian Life Reinsurance Group Berhad, and a number of private companies. In addition, he is a Director of the Committee of the Malaysian Aerospace Industry Association and of the British Malaysian Chamber of Commerce. 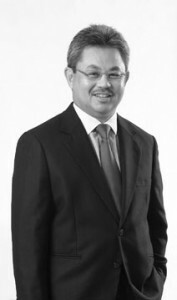 He is a Trustee of Yayasan Siti Sapura and Avocat Au Confiance to the Swiss Embassy. Dato’ Muthanna is also the President of the Bukit Tunku Residents Association.